John Ray (1627-1705), Naturalist. Sitter in 13 portraits. Thomas Uwins (1782-1857), Painter. Artist associated with 20 portraits, Sitter in 4 portraits. 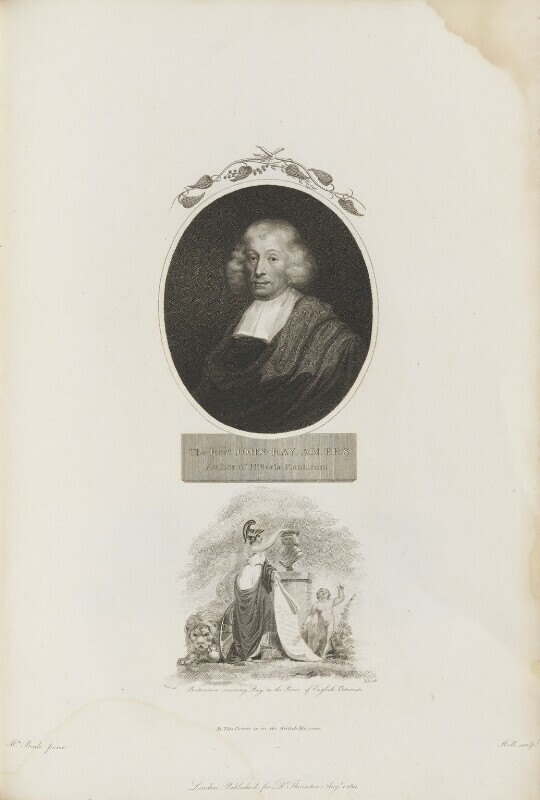 William Pitt returns to office and forms a second coalition administration, retaining many of those who had served under his predecessor Henry Addington but specifically excluding his arch rival Charles James Fox . William Blake starts writing Jerusalem. One of his most ambitious allegorical poems, it took nearly eight years to complete. Amidst infighting about submissions to the annual exhibition, attempts are made to unseat painter Benjamin West as President of the Royal Academy and elect architect James Wyatt instead. Napoleon declares himself Emperor of France and is crowned as Napoleon I by Pope Pius VII in Paris. Haiti achieves independence led by Toussaint L'Ouverture, the patriot and martyr who had seized control from the French in 1801. He becomes a symbolic figure of freedom for the British anti-slavery movement.